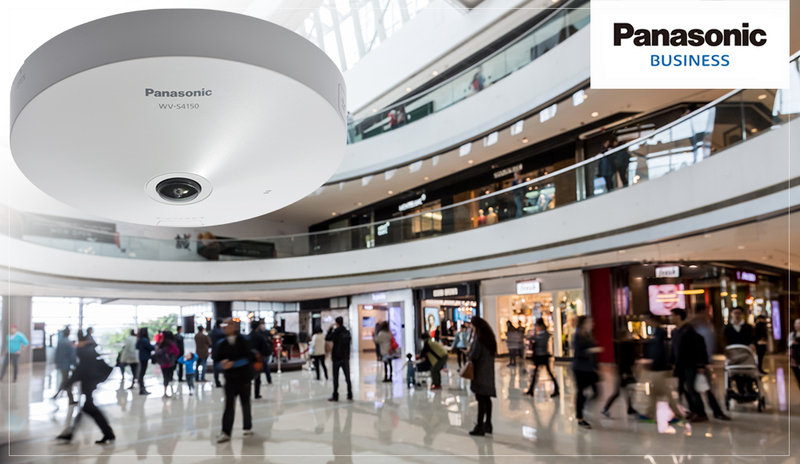 Panasonic Australia has launched two new intelligent 360-degree surveillance cameras featuring the company’s next generation i-PRO® Extreme surveillance technology platform. The two new 5-megapixel cameras are aimed at applications such as banking, retail, safe cities and logistics, and serve both security and marketing purposes, with field-upgradability via optional software to offer heat mapping (WV-SAE200) and high-precision people counting (WV-SAE303W). The i-PRO® Extreme platform uses H.265 Smart Coding technology - intelligently increasing bandwidth efficiency so organisations can record for longer while effectively managing data storage costs. To keep mission-critical data highly secure, the cameras support full data encryption streaming out of the box and are compliant with FIPS 140-2 Level 1 standards. The WV-S4550L weather-resistant outdoor camera and the WV-S4150 indoor camera deliver detailed images with 5 megapixel resolution up to 30 fps, feature Super Dynamic 108dB for backlit situations, and provide clarity from the centre to the rim of the fisheye image with minimal distortion. Panasonic’s Intelligent Auto (iA) monitors scene dynamics and motion to adjust key camera settings automatically in real-time, reducing distortion such as motion blur on moving objects. Importantly, privacy can be protected when required through Panasonic’s people masking technology, which uses an MOR (Moving Object Removal) function to mask moving objects and to also conceal static areas that may be confidential. This ensures that a security system protects employee and customer identity when necessary, while remaining secure. MOR can be deactivated when reviewing footage of any security breach that may have occurred. The new cameras are available from March 2018 from Panasonic distributor BGW Technologies.